There is no property other than this one: it is Here and Now. 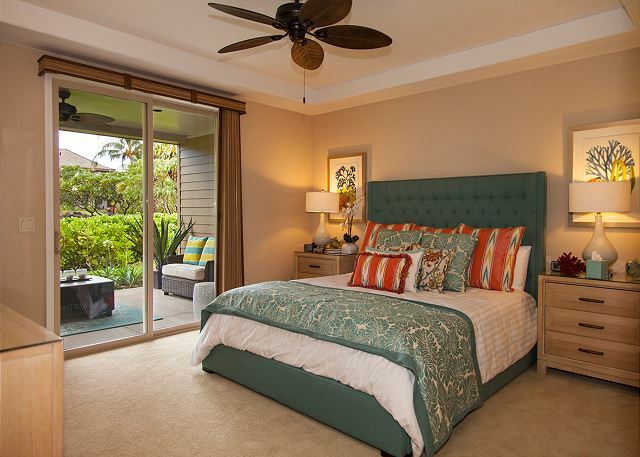 When time stops with the first step inside, this four-bedroom, three-and-a-half bath home presents you with the tropical peace you’ve all along been planning for. 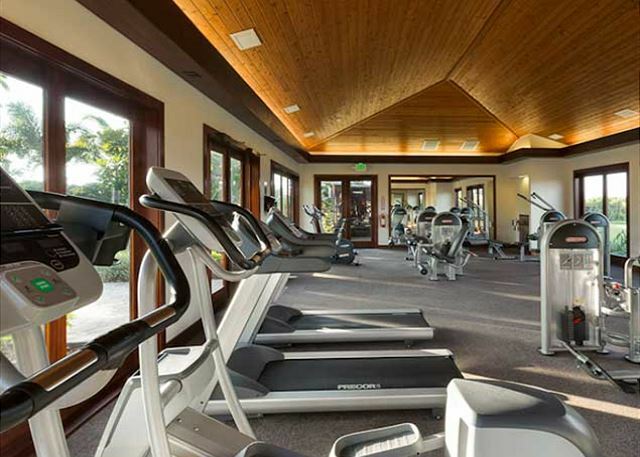 It is conveniently located across the Recreation Center with a Lap Pool, next to the Exercise Building with lockers and showers. Also inside, there is a large free-form pool and a kiddie’s pool, next to the Gathering Pavilion with it’s under roof BBQ and Kitchen with seating for 40 people. The Pavilion can be reserved for private parties. The rest is greenbelt. 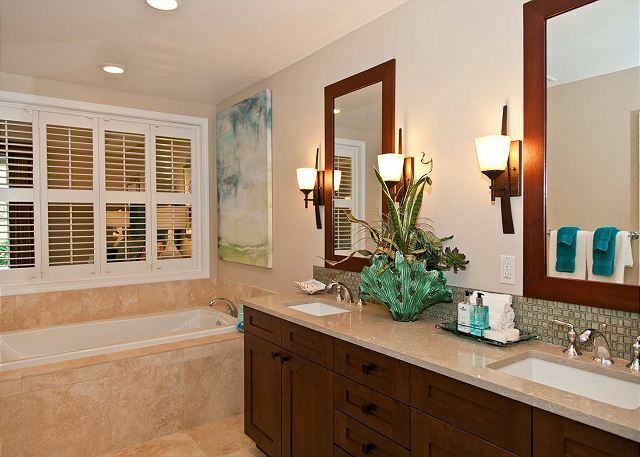 Enter and experience this former up-grade model home. 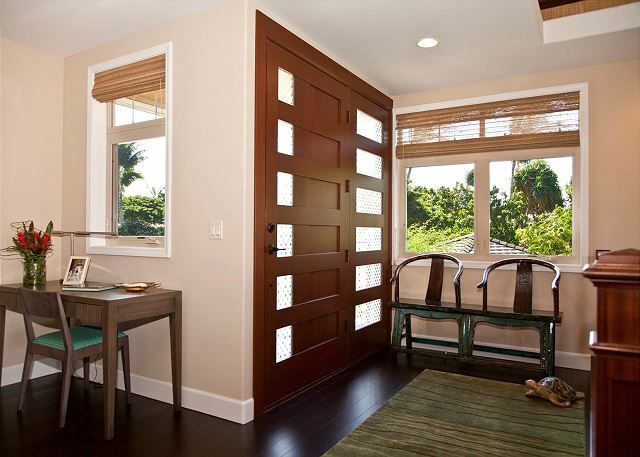 The back lanai revealed through stunning room-wide disappearing glass doors. 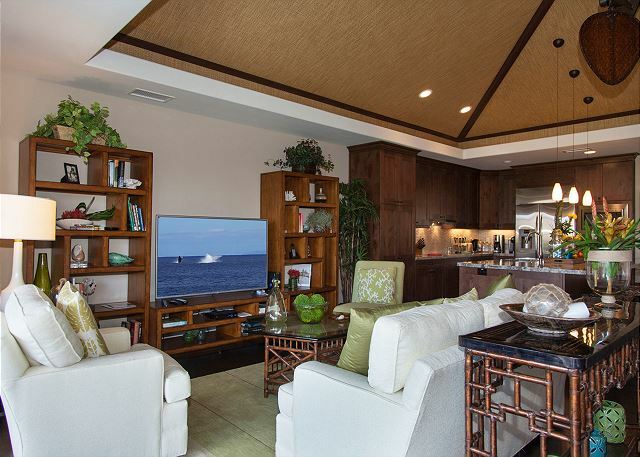 Cross through the pristine scheme of furniture and décor to step upon that lanai, only to be swept away with the Kohala breezes and the sliver of Pacific blue in your vision. 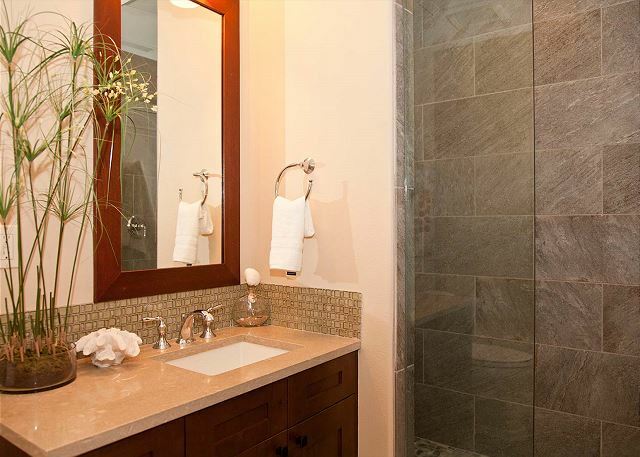 When the time comes to explore your vacation home the pleasure will be all yours. There is a precise subtlety to the layout of the plush living area and its spacious dining corner. Yet, it is well known, everything begins in the kitchen. 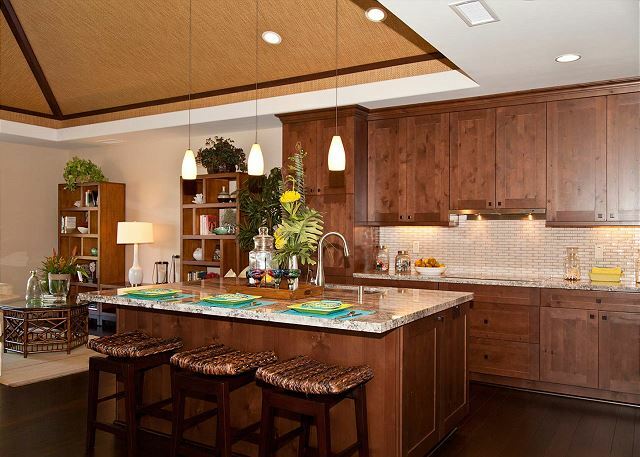 Pure function between appliances, storage, and luxurious island effortlessly draws the crowd to gather first, then the parts of the whole settle into their own areas of peace. 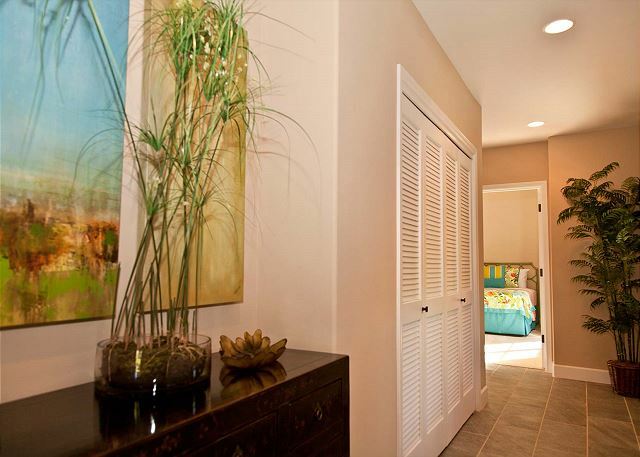 On the main floor, a Junior Master Suite allows instant access to one’s secluded oasis of calm. 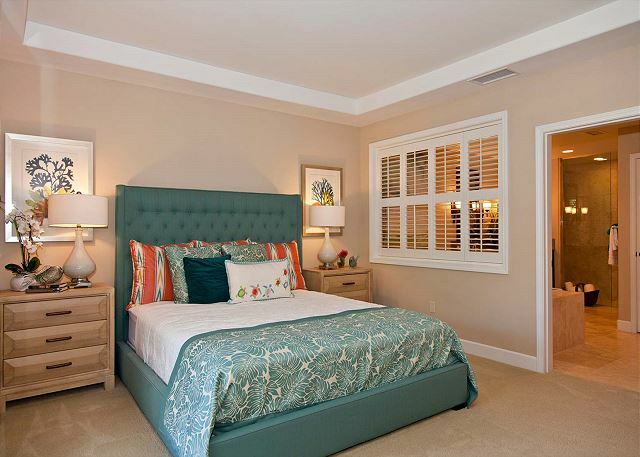 Downstairs the King Master Suite commands a layout specifically designed for grand privacy. 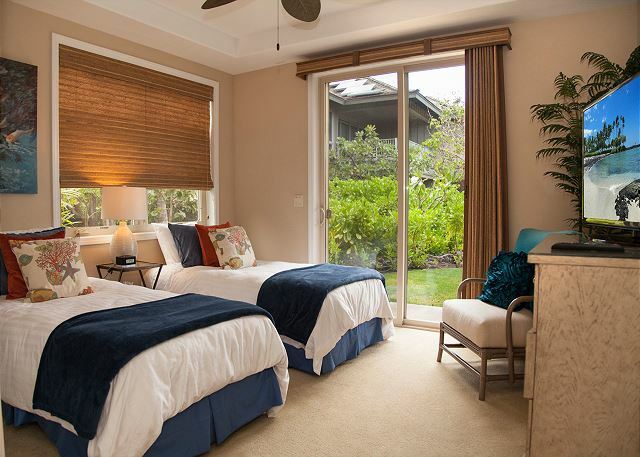 Its soaking tub, walk-in shower and double vanity are bathed in outside light and breezes with the opening of a darling shuttered window between bed and bath. 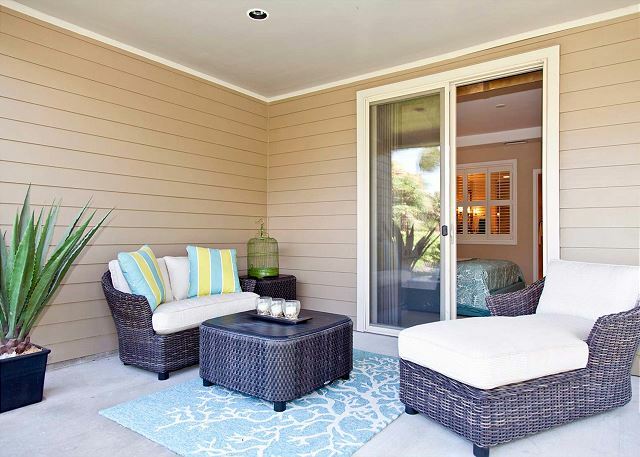 Extend the spa experience out onto your own chaise lounge, complete with the luxury of its patio carpet, and screened with lush landscaping. 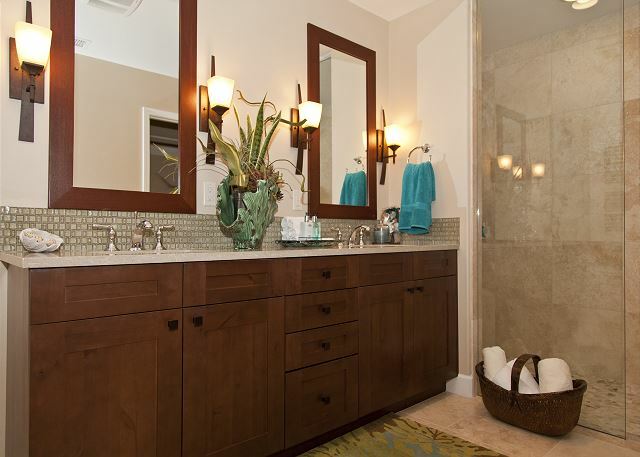 The remaining bedrooms provide multiple sleeping options, replete with their own access to separate outside areas, both sharing a generous hall bath with full tub and shower. For families, a Pack and Play, booster seats, beach toys, boggie boards, beach chairs, umbrellas and of course beach towels are available in the home. There is the private Beach Club, with private parking next to the beach side restaurant. There are life guards, white sand beach and shallow cove to snorkel, where it is safe for beginners and children. There are acres of Historic Fish Farms to stroll. All this is for use of our guests. 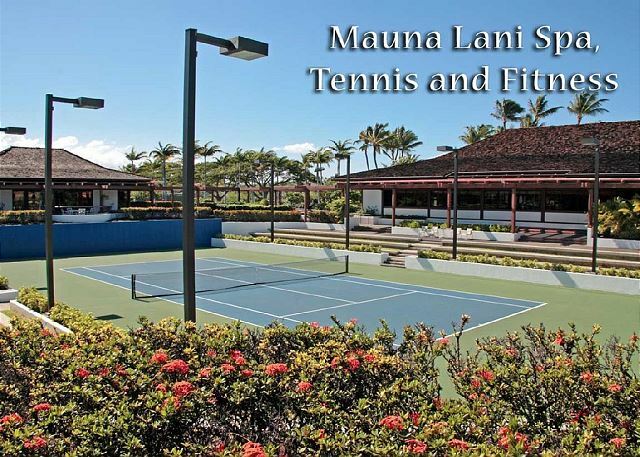 The Mauna Lani Resort also offers two golf courses, a spa, massages and tennis courts as options, as well as access to your own private Mauna Lani Beach Club with white sand and superb snorkeling in gentle waters. 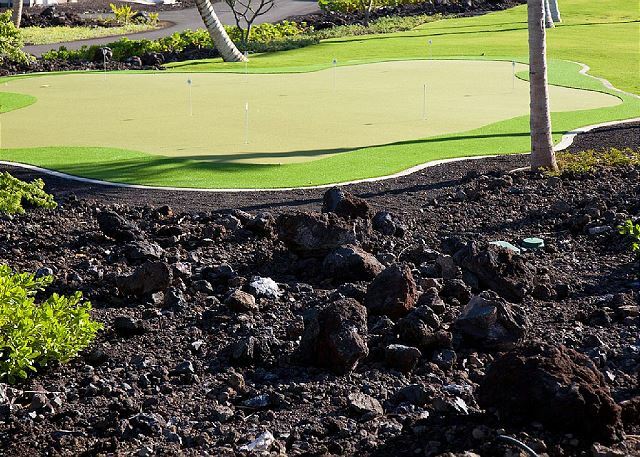 Dining choices are copious at the Club, the Shops at Mauna Lani, and the two hotels on site. Shopping and cultural programs keep a strolling soul with plenty to see and experience. 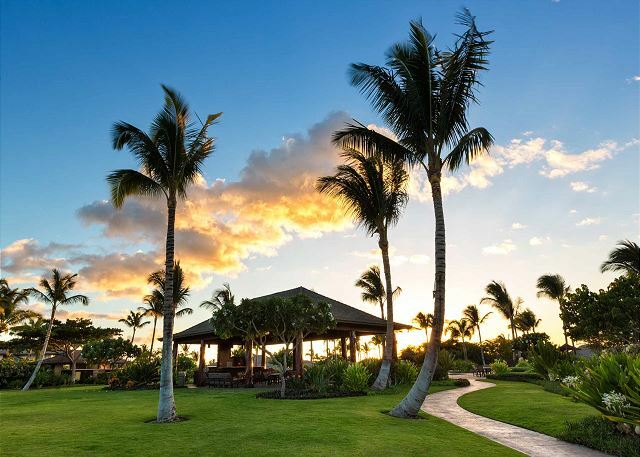 Of course, outside the resort there are so many more ideas – from coffee plantations, to valley hikes, to horseback riding, to deep-sea fishing, to the sights and samples of Kona town. However how much time you plan, you might consider doubling it, because this property’s Here and Now is found to be eternal.. This house was located in great spot. Spacious house that was comfortable for 3 families. House was located directly across from pool - which was great for the kids. This was a marvelous house for a family vacation with small kids. 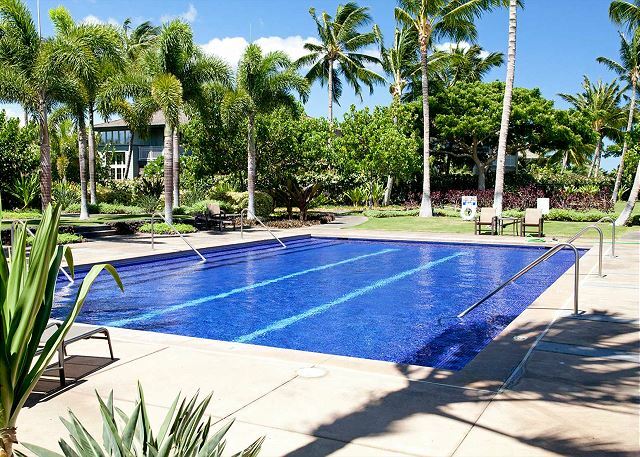 The pool is right across the street and there are multiple beaches less than 10 minutes drive away. 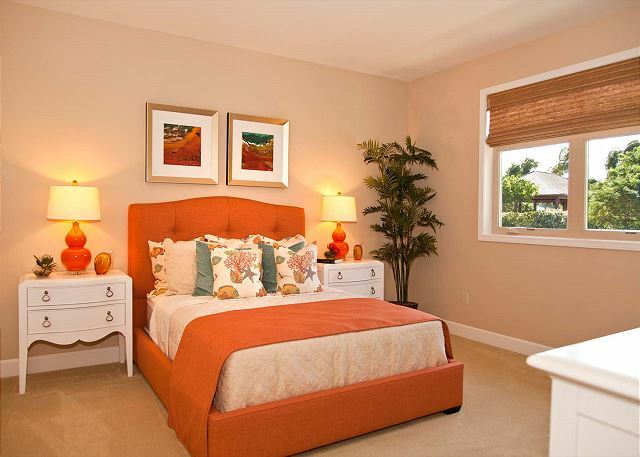 The home is well cared for, comfortable, spacious, and welcoming. The rental agency was a pleasure to work with and were immediately reactive to minor issues that needed to be addressed after our arrival (thank you Shig!). There were plenty of bath towels and beach towels for a group of 10 and lots of pool toys and beach safety gear in the garage for our use. There are 3 lanais attached to the home so there's always a place to get away from the larger group. I loved this home and would definitely return again to this beautiful area and this property. Great overall experience at this property. 6 adults and 3 young children. It was clean, comfortable and well appointed. These air bnbs are absolutely gorgeous. We had 2 of the properties split between 19 of us. Shig was very accommodating. The only thing I have to complain about is that we were not able to rent out the bbq pavilion because of all of the rules and regulations. It is 35 minutes from Kona and a fantastic, quiet spot. I had a fun group of adventurers and we just loved this house. It was roomy enough for privacy and the shared spaces were just wonderful. Nice flowy open floor plan. The Beach Club is steller with awesome snorkeling. You can rent paddleboards and kayaks for a really fun activity. Everything you need is close by. Shig made this experience run smoothly and we had no glitches. Everything was grand! We have stayed at this house for the past two years and it is so convenient both for the amenities close by and within the complex. We have stayed at other properties maintained by Shig over the past 8 years and have always gone home wishing we could have stayed longer. What can you say about this duplex Home (would never know you were connected ) other than it was a 5 star experience all around. Very very clean and new with new appliances and furniture. Gas barbecue - note that only half was working. Mgmt please repair. Needed a few more beach chairs and within an hour they were waiting for us. Lots of umbrellas, children’s beach toys, snorkel fins, and children’s masks. Skimboards, small surf boards and even water shoes were available. Best location in property as not far from entrance but it’s only 20 feet from the swimming pools. Closest beach for sundowners is next to Fairmont Orchid but you also have access to Private beach which is wonderful with an awesome restaurant. No view from unit, some construction with new development but they only worked 8 to 4. Could use more towels but that’s being petty. In any case I absolutely recommend this unit BUT I don’t want to give it too glowing of a review as I’d like to visit again. Terrific location. Beautiful house. 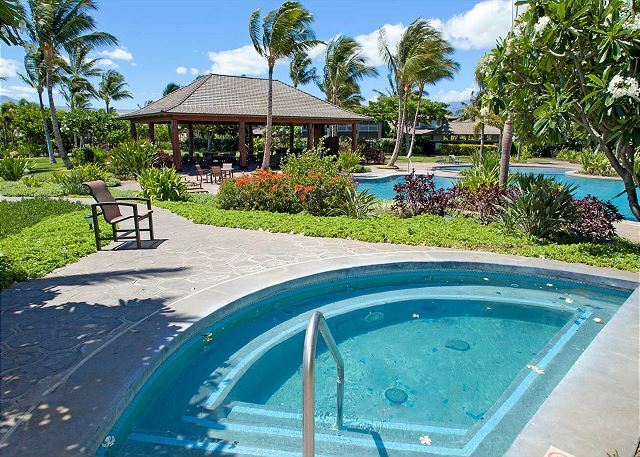 Excellent access to pool for kids, snorkeling for adults and great beaches nearby. Exceptionally quiet. Totally relaxing. 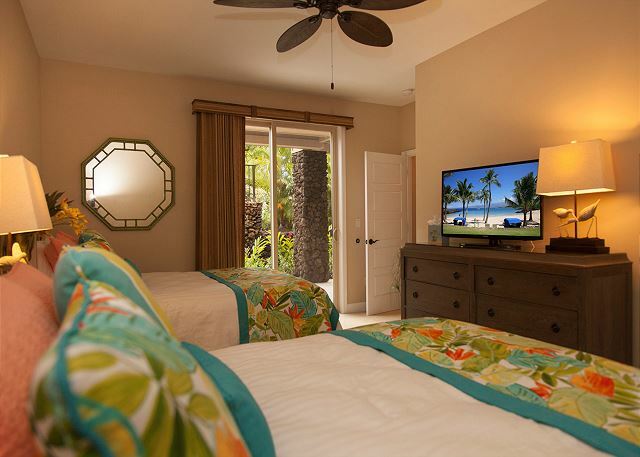 Best vacation rental for a trip to Big Island. 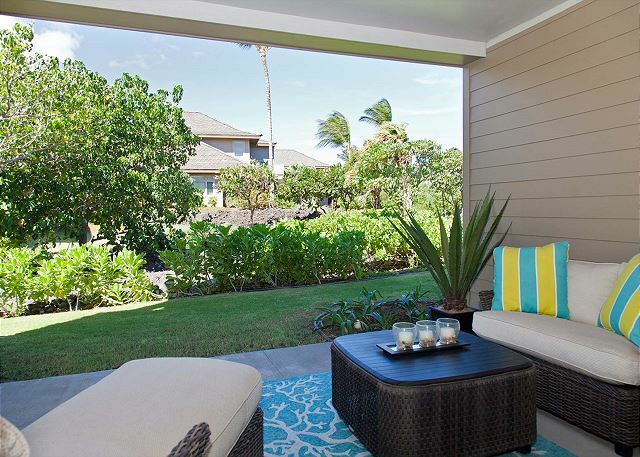 KaMilo 401 is a gorgeous, 2-story townhouse in the beautiful KaMilo development at Mauna Lani. 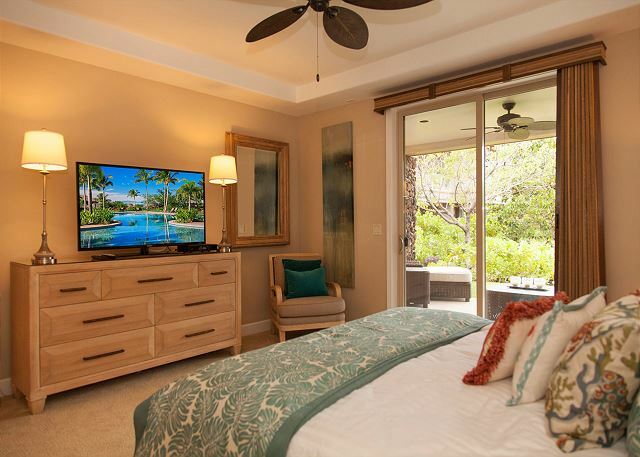 We loved the open floor plan on the main floor; gourmet, fully stocked kitchen; large, in-home laundry; large bedrooms (3 of 4); private lanais; BBQ; location across from KaMilo's pool, spa, and gym facilities; and 401's upscale decor. There is nothing not to LOVE about this home. 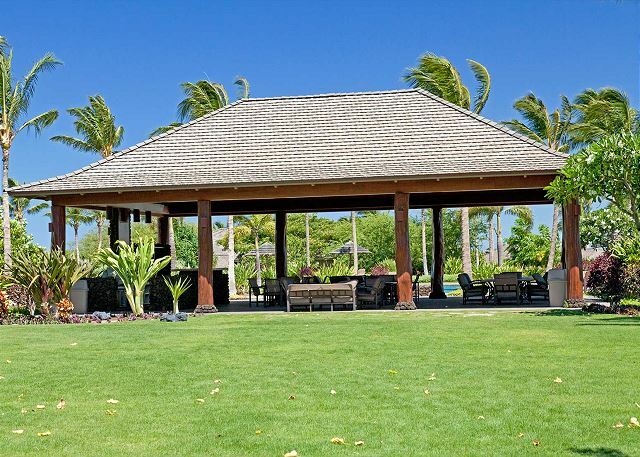 Easy access to private beach club, and prime location on the Kohala Coast. Furnishings in beautiful condition. Beach chairs, umbrellas, Boogie boards, pool noodles all in the garage and shared with renters! Property manager is friendly, helpful, responsive, and picks up his own phone when you call him! 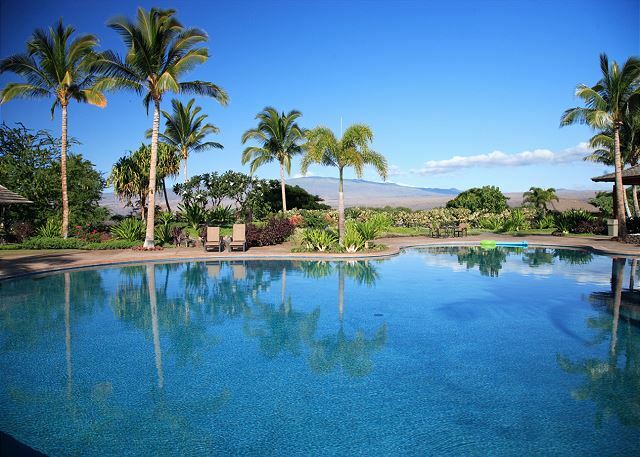 I would highly recommend this premier property to any large family (or two smaller families) looking to stay on the Kohala Coast. The house is absolutely beautiful, furnishing are classy, decor are contemporary kitchen is gorgeous spaciously entertaining to big family like we had 9 of us. 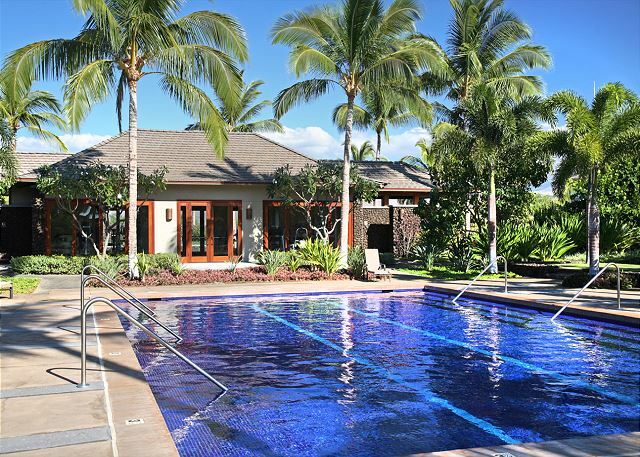 We had a hectic 4 day agenda and wished could have enjoy the house more the beach club and pool.We’ll keep this property in mind in the future Hawaii vacation. My family of 10 stayed here at the beginning of April and honestly pictures do not do it justice! The pictures are amazing, but the real deal is incredible! Shig thought of everything with this one: every switch is labelled, soap, ziplock bags, the little things that really matter! I would totally come back here again. There was more then enough room for us all, never felt cramped. I am super picky with cleanliness, and this place exceeds all areas of cleanliness. Thanks for an amazing stay, great memories.Looking forward to returning. We rented for 6 days in March 2018. We stayed in this same home 2 years ago, so we knew this would be a great repeat experience & we were once again delighted. The property manager lives next door, so if there ever was a problem to be sorted out, Shig is there to help, we did not need him! House is directly across the street from the pools & hot tub. Our grandchildren spent a lot of time with us there! You receive an access card to beach facilities - outstanding! Rental easily accommodated our family of 10 . Kitchen well stocked for cooking our meals. Beds are comfortable - a great home away from home! This is the 4th or 5th time we rented through this company. We have always been happy. The layout is perfect and this is one of the few that has a total of 6 beds (not sleeper sofa). 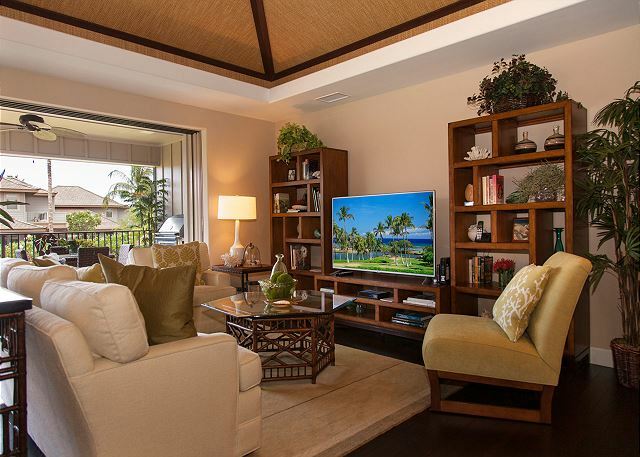 Great room area and lanai are absolutely perfect for hanging out after playing 36 holes of golf. Our stay in unit 401 Ka Milo was absolutely perfect. 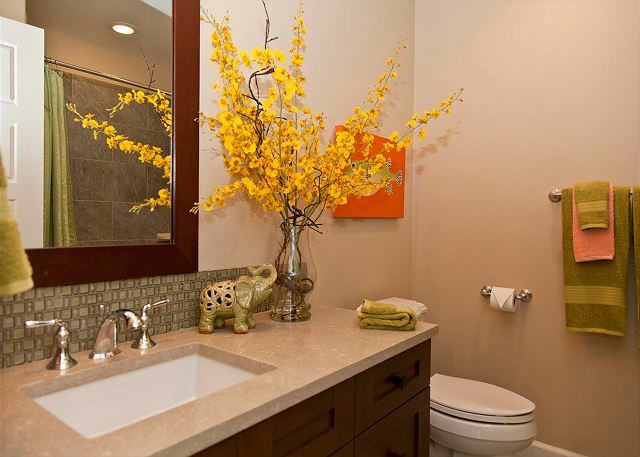 The home was exceptionally clean and well stocked. The garage is well equipped with anything and everything you could possibly need for the beach. Shig, the property manager, even stopped in on our second day to make sure everything was to our liking. 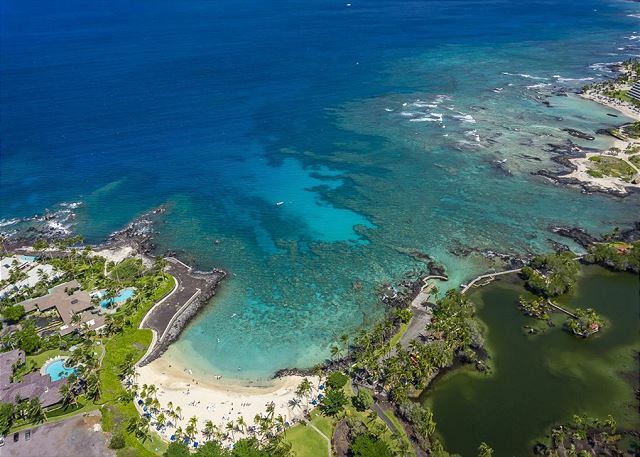 The private beach access at Mauna Lani was excellent for our kids aged 9 & 10. The pool is located right across the road from this unit. Ka Milo was quiet at night and we really enjoyed the many outdoor lanai spaces to watch the stars. We walked down to the Fairmont and had Christmas Eve dinner at the Japanese restaurant there. It's a short 1/2km walk. 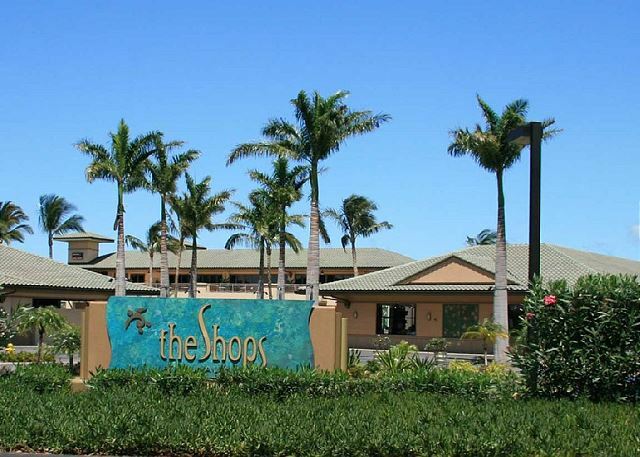 There are shops about 1km down the lane, Mauna Lani Drive, with food and coffee. 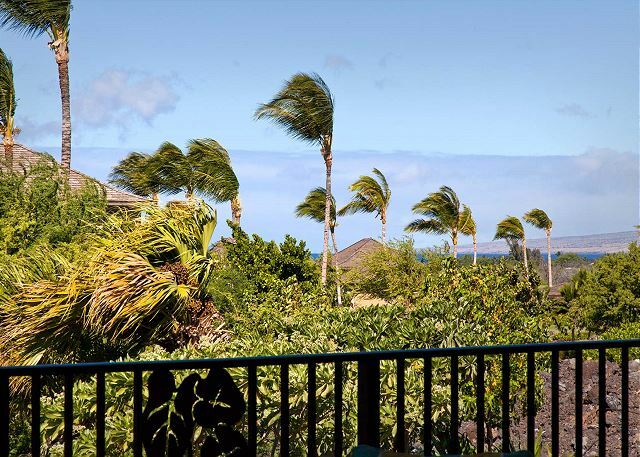 There are also several shops and restaurants about a five minute drive away in the Waikoloa Beach Area. We enjoyed Lava Lava Beach Club there. I liked that in Ka Milo, we were a little more removed from the busier Waikoloa area. We will definitely be back to this property and will suggest this unit to our friends and family. This home was the perfect vacation rental. It was spotless, comfortably and beautifully decorated. 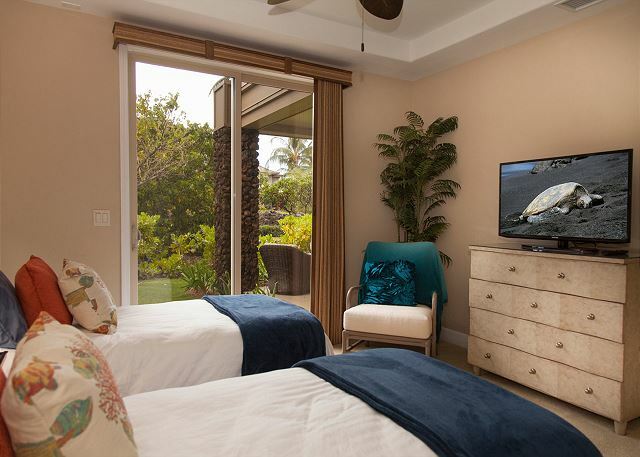 There was a TV in every bedroom which worked out perfectly for down time for kids and adults. We had three families in the home and the space was great for us. The outside deck space was extremely comfortable and we used it most of the time we were there. I can't say enough about the wonderful experience we had. Shig and Maya Shiwota were wonderful to work with. They even brought us extra sheets on Thanksgiving when we needed them. The location was excellent-next to the pool which was perfect for the kids. They provided boogie boards and all the beach equipment that we needed. HIGHLY RECOMMEND this to future travelers and will definitely be back! We had a wonderful time at KaMilo 401. The property was very well maintained, and the property manager was very responsive to all of our questions and additional requests. The house is beautiful, and in such a convenient location across the street from the pools and workout room. This house had everything we needed, and was a short walk or car ride to the grocery store, shops and restaurants. We thoroughly enjoyed our stay and hope to return again soon! This is such an amazing place to stay if you have a large group. All the rooms were well furnished and had everything we needed in the house. Snorkeling gears and beach essentials were all located downstairs in the garage. Shig, my contact, was very accommodating and made sure my stay was pleasant and enjoyable. I would definitely recommend people to stay here. 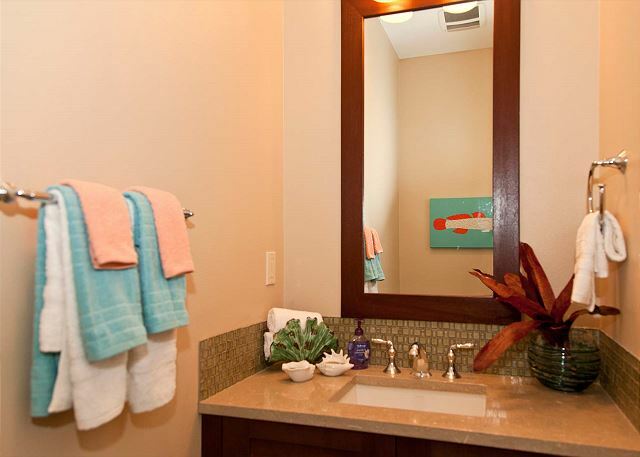 Beautiful home, best location right across from the pools and fitness center. We loved everything about this house. Plenty of space for everyone. Loved the private beach club- perfect spot for snorkeling and a great beach for kids- can rent kayaks/paddle boards right at the beach too. House was well stocked with everything we needed: kitchen supplies, beach chairs, boogie boards, beach towels. Grocery store 2 minute drive from house. Our party had people ranging in age from 10-90 and everyone was happy. Would definitely recommend this home and we would stay here again if we are back at the Big Island! First family vacay a success! Planning for our first family vacation with 10 people plus baby was no easy task. It was difficult to find a beautiful comfortable nice house that'll accomadate everyone plus have everything we need. This house provided everything perfectly! Enough space for everyone that we survived a week together. Love that the pool was just across the way. Grocery store and shopping within minutes. We would totally go back! Wish they had this house on all the other islands at the same reasonable rate. Shig and the staff were so helpful and so nice. Something for everyone at KaMilo 401! 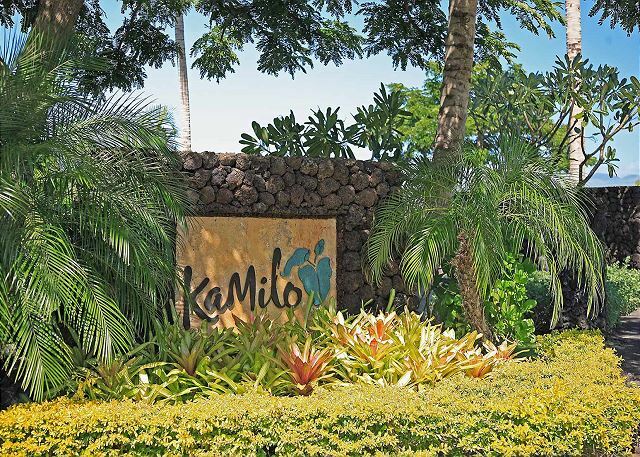 We have just concluded our weeklong stay at KaMilo #401 and we couldn't have asked for a better place to call our home for the duration of our vacation. Together we were 4 adults and 4 children and the unit was more than perfect by way of spaciousness. All amenities for the beach were included and we made sure to make the most of them. No major concerns regarding the state of the unit or the service we received and we would happily return again. 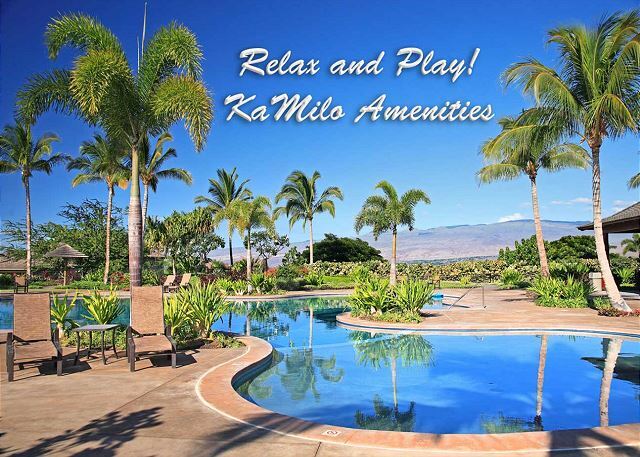 KaMilo 401 is the perfect location for a vacation with family. We had previously stayed at the Fairmont which is amazing but with 3 kids it was not in a family friendly budget. We had 2 families stay with kids ranging from 5yr -16yr. 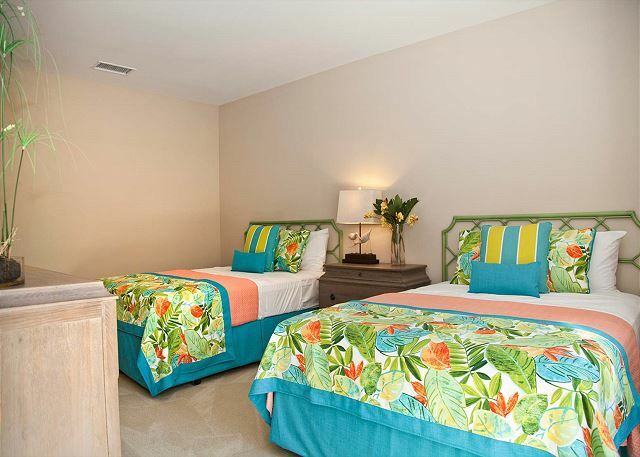 The 2 master suites worked well for the 2 couples and would be perfect if travelling with the in-laws. Jr Suite is upstairs away from all other rooms and very quiet. No up and down the stairs for Grandma & Grandpa except for the stairs to enter the home. 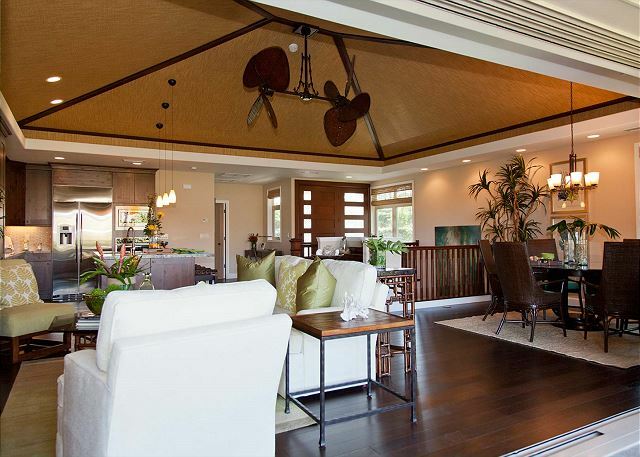 The home is beautifully decorated in an upscale island theme. Home is fully equipped with cooking utensils, grill etc. 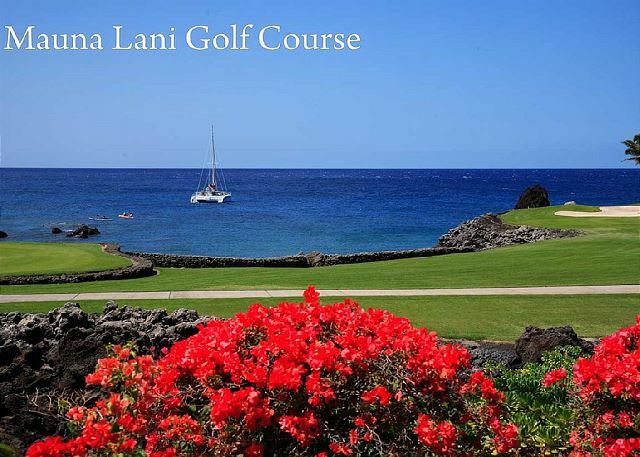 to allow you to enjoy some meals on the beautiful lani. The house is conveniently located to the pool and garbage so no need to rent a golf cart or drive to the pool. 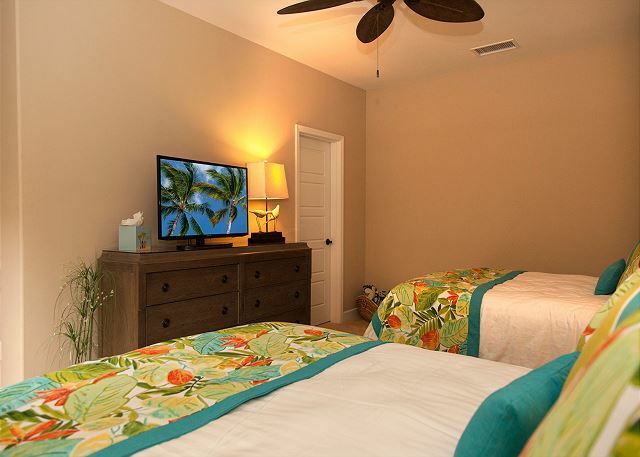 Full access to the beach club as well as conveniently located near the grocery store and shops. This property will not disappoint!! Terrific spot for our family which includes two small grandchildren. Access to pools and hot tub is excellent. 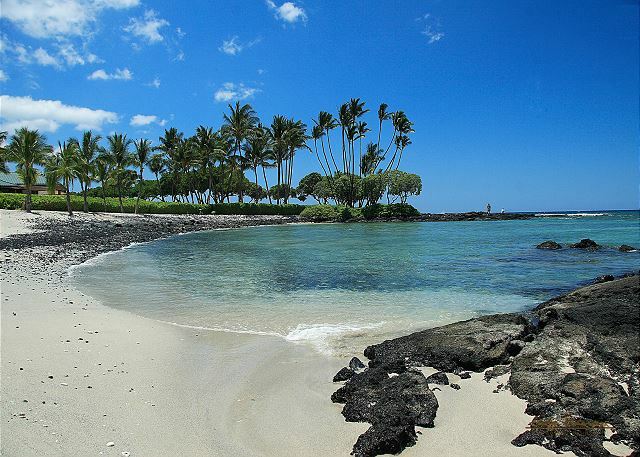 Big Island has soo many positives and this spot in Mauna Lani doesn't get any better. It was very nice and comfortable. KaMilo 401 was great. We've stay in KaMilo before and had the same layout as 401. 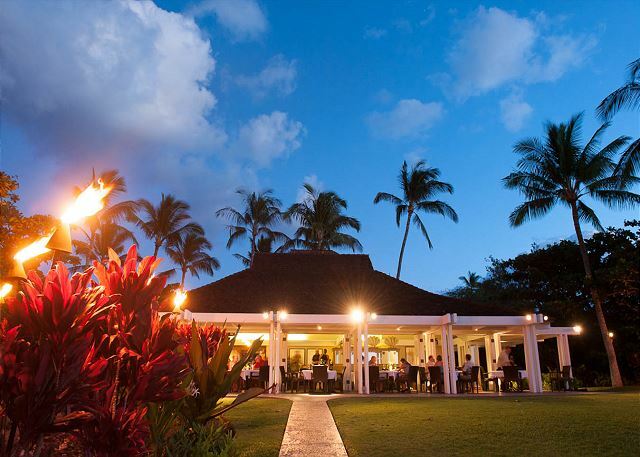 It's a great location and it includes the beach club, which we love. We liked that they had beach supplies in the garage. The only thing is that they need to update their photos online because the room that has the twin beds, looks like it was an office in the photo, even though they listed it has having twin beds. Out every meal. Looking forward to our next trip. We absolutely loved this place. The pools and beach club were awesome and the property was perfect for our extended family. As usual, we had a fantastic vacation at KaMilo. This was the first time at this address but we have stayed at other properties in the complex over the past six years. There are some lovely walks in the area and several excellent restaurants close by. Once again Shig and his wife were wonderful managers and we look forward to coming back again next year. Gorgeous property with all the conveniences of home! We had a large family vacation to the Big Island for 13 of us. I wanted to ensure we were comfortable and had plenty of space, so rented 2 condos from Shiwota Properties (Units 401 and 216). 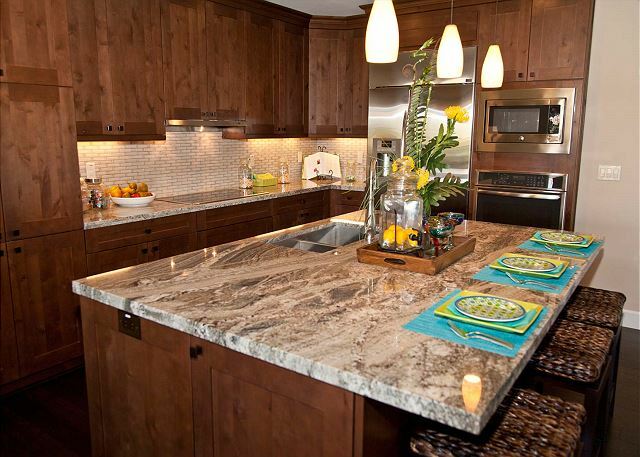 Unit 401 was beautifully furnished with high end kitchen appliances and goods. The 4 kids in our party, ages 8 to 12, stayed in this unit because it was close to the pool. 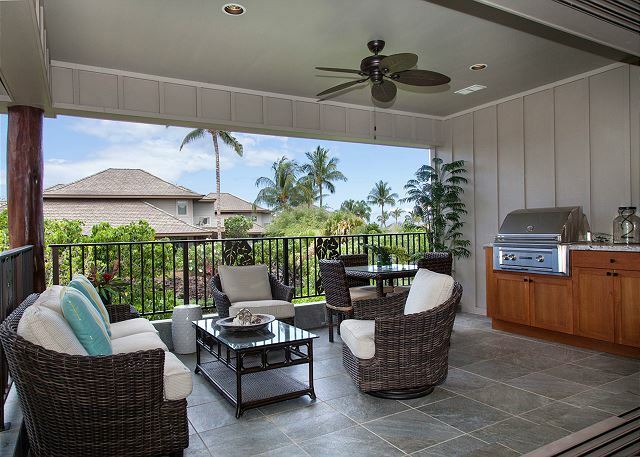 Due to the high winds for the first couple of days we were there, a great feature of this home was the lanai. It was situated perfectly so that the wind was blocked, and we were still able to enjoy hanging out and grilling on the barbecue. 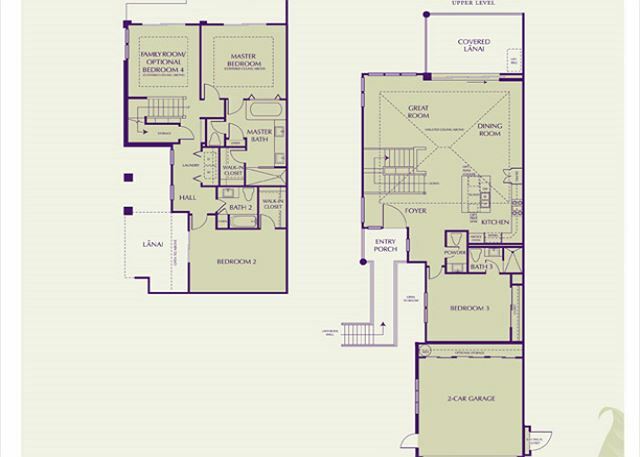 There is a master upstairs with the kitchen/living area and 3 bedrooms including a master downstairs. The beds and bedding were lovely and comfortable. The grandparents in our party (Grandpa is 91!) stayed in Unit 216 since there is a set of stairs to get to the front door of 401. We didn't want him walking up and down the stairs too much during our stay. If no one in your party has mobility issues, this is a wonderful, luxurious property to enjoy your vacation! Shiwota and Shig were so easy to rent from. Everything was ready when we arrived even though we were a couple hours early. I loved the simplicity of the check in and out process with the Shiwota app. We've already recommended Shiwota properties to many friends! 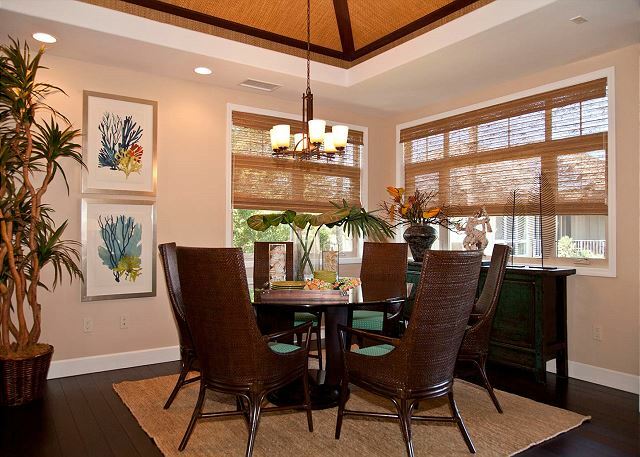 Beautiful Vacation Home Elegantly Decorated. 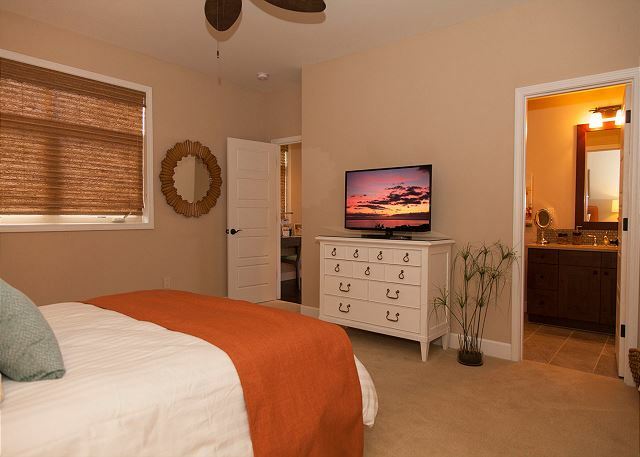 This 4 bedroom home was spacious and perfect for our family of 4 couples and a 23 month old. We appreciated the pack-n-play and the booster seat. One of the bedrooms beside the master had a walk-in closet big enough for the pack-n-play, so that became a little bedroom for our grand-daughter. The house is conveniently located very near the pool and hot-tub, but far enough away that any noise from the pool did not disturb us. 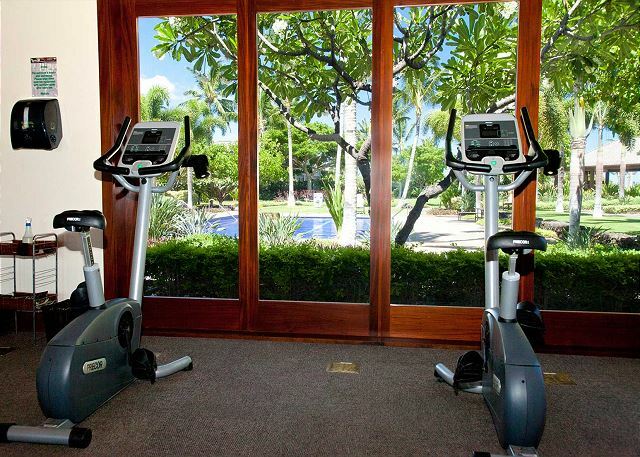 The location is close enough to be able to walk to the local market--Mauna Lani Shopping Center and also the Fairmont Orchid. This home was beautiful and spacious. The expanded patios and balcony added even more room to spread out. We ate all meals on the patio which opened up with large sliding doors from the family room. It was also very quiet. We stayed with our kids and small grandkids. So having the multi level bedrooms worked out great. The only one drawback was they closed the pool for a few days to drain it for repairs due to the nearby construction issue. I would highly recommend it to families with small children. Wish we were still there! What a perfect accommodation for a large group! We had our 2 adult sons, and their spouses and children ages 9, 7, 6 and 3. Space was just right for the 10 of us. Everything we needed was supplied in the kitchen, and we cooked our own meals. Shig, the property manager, lives right next door and was most attentive to all our needs. He provided detailed instructions about the community gate code, lockbox for the house, ... and was attentive to our needs ( propane for the BBQ). The home is across the street from a great pool for kids, and a hot tub. The big island is amazing, with such variety of climate and vegetation. So much to see! We met up with a handful of college friends at the house, there were 8 of us total and the space was ideal. The layout of the home is great for groups as there's a wonderful central living area that we all would gather at and then the bedrooms were all spaced apart and large. There were even two private patios and the back deck. Very convenient to Kona, Kohola, and Waikoloa. We would certainly stay there again! The only feedback for improvement I would suggest is on communications before check-in, I had a few emails go unanswered for a few weeks. This was the perfect vacation home for our extended family: 6 adults and 2 babies. The management kindly provided 2 playpens and booster seats for the children. 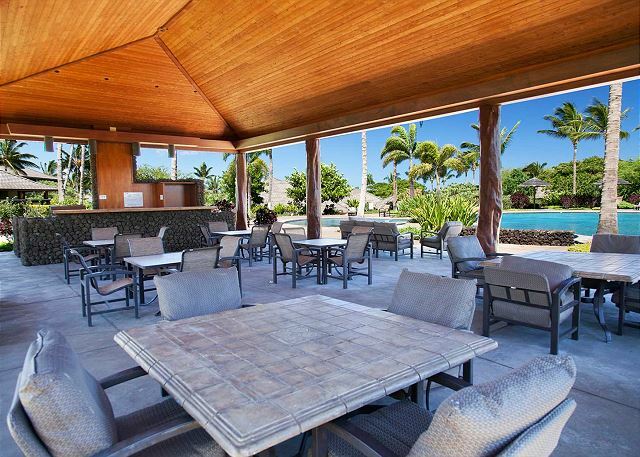 The pool area is exceptional, and the neighborhood beach is beautiful and safe for families. This is the fourth year we have stayed at Kamilo, we highly recommend it. Shig Shiwota provides exceptional customer service. Our experience was fantastic! The home was absolutely beautiful and so spacious. Shig and Maya were so helpful and accommodating. They provided an extra pack n play and booster seat for our twin boys. The home is located in such a convenient close to the pool and entrance of the neighborhood. 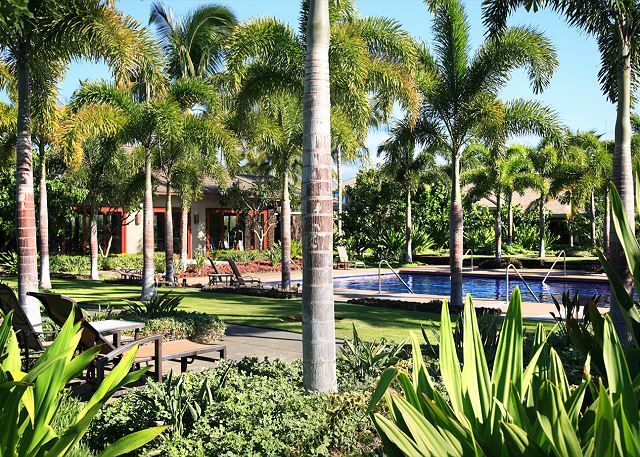 A quiet, beautiful retreat that is absolutely perfect for a family vacation. We would rent this unit again in a heartbeat! 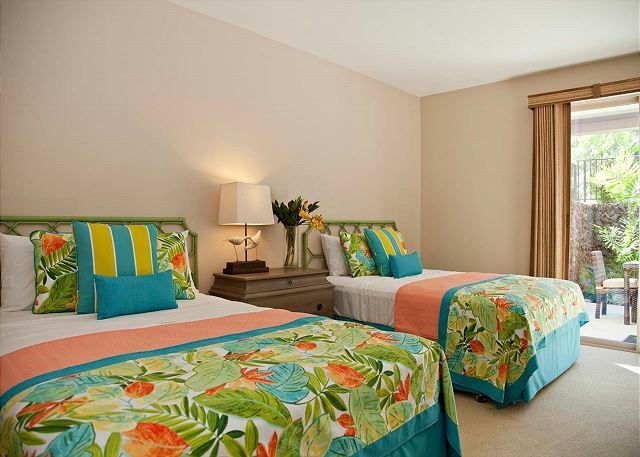 This condo was beautiful, had everything you need for a wonderful vacation. Perfect location. Quiet setting, perfect location. Would certainly recommend KaMilo. Thank you Shig! A vacation dream!!!! Home was beautiful, well decorated, extremely clean with many extras. The grill did not work properly, but because of the incredible location right near the pool and resort grill - we just walked across the street. We were 2 miles from the hotel that hosted our luau and 5 miles away from Dolphin Quest where our daughter works and where we swam with the dolphins. Also enjoyed night time Manta Ray dive with Jack's Diving Locker. Unbelievable!!!! We would and hopefully will visit again. Thank you for sharing our very comfortable home. 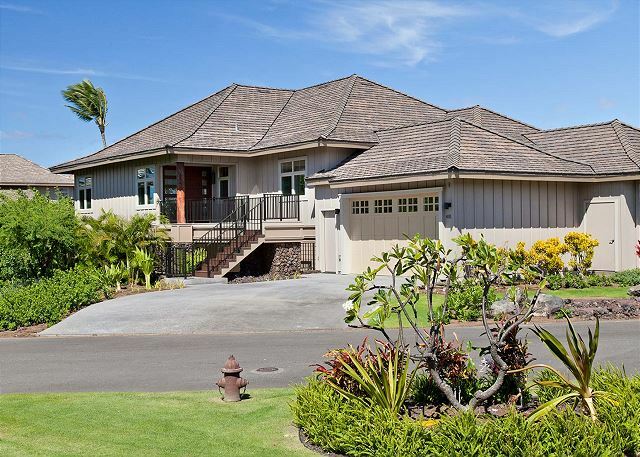 This was our 4th year in Mauna Lani and 2nd within the Kamilo neighborhood. We travel with another family so the need for 4 bedrooms is a must. The 401 unit just became available in 2015 - it was previously a model for their sales team. The house is superbly decorated and stocked with anything you could need. The residence was easy to maintain and so fun to live in during our stay. We just left and the departure was a bit sad. I can highly recommend this unit to anyone with a larger group who likes the type of travel where you cook, eat and live just like you were in your own home.